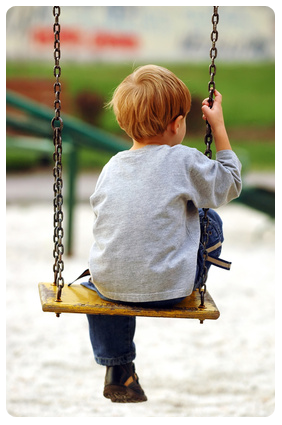 What To Do If Your Child Is Stuttering - Boston Speech Language Therapy in Brookline, MA 02445. Does your child repeat the first sounds of words, such as “tuh-tuh-tuh-tomorrow”? Does he prolong sounds, such as “That’s nnnnnnnnnnot my book”? Does she experience blocks when speaking, such as “I went to . . . . . . . . camp”? If so, your child may be stuttering. Did you know that many children go through periods of stuttering during typical speech and language development? It’s true. Many children experience normal developmental disfluency, or stuttering-like behavior, which resolves without therapy as children mature. This type of disfluency is usually short-lived in nature, lasting from a few weeks to a few months. It may appear intermittently between the ages of 1½ and 5, when children’s language is developing rapidly. Developmental disfluency differs from stuttering or stammering in that when children are experiencing developmental disfluency, they tend to repeat entire words or phrases (e.g., “I went, I went to the park”); however, when they are experiencing stuttering, they tend to repeat individual sounds or syllables (e.g., “I wuh-wuh-wuh-wuh-went to the park”). The number of disfluencies can also help distinguish developmental disfluency from stuttering. If a child is undergoing a period of normal disfluency, the number of repetitions is likely to be 1-2 per episode (to again use the example above, “I went, I went to the park”), whereas if a child is stuttering, the number of repetitions is likely to be higher than two (to use the example above, “I wuh-wuh-wuh-wuh-went to the park”). Frequency of disfluencies is another determining factor – the percentage of syllables that are repeated out of total syllables produced is lower in developmental disfluency than in stuttering. Finally, signs of struggle during stuttering can help distinguish between developmental disfluency and stuttering. If your child is showing signs of struggle such as muscle tension in the face and/or other parts of the body, or secondary behaviors such as eye blinking, head turning, fist clenching, or reduced eye contact, he may be stuttering. In contrast, if he is relaxed and does not show signs of struggle when speaking, he is likely experiencing developmental disfluency. If you are trying to determine whether your child is experiencing typical disfluency, or if he is beginning to stutter, it may be useful to listen carefully to his speech and compare it with the characteristics described above. Some parents wonder if they caused their child’s stuttering; however, there is no one cause of stuttering. Stuttering is a complex disorder that stems from a variety of interacting causes. Among these causes are environmental factors such as stress, speaking context (e.g., 1:1 versus in a group, with familiar versus unfamiliar people, at home versus in a new place), rate of speech, a child’s physiological and neurological profile, genetics (i.e., family history of stuttering), motor processing, cognition, and emotional processing. In each individual who stutters, these and other factors interact in a dynamic and unique manner. A child’s ability to meet the demands of any given speaking situation can vary from day to day. For example, is the child tired? Is he recovering from a cold? Has he made a new transition to a different school or childcare provider? Is there a new sibling in the family? Stuttering truly is a multi-factorial disorder. 1. Do speak slowly yourself. Try to speak in a slow, smooth, relaxed way, with frequent pauses, whenever you are with your child. This type of easy, relaxed speech can serve as a helpful model for her to emulate. It can also convey the message that you are not in a rush to communicate with her, and she does not need to feel rushed when communicating with you. If your child begins to speak more slowly in response to your slower speech, praise her efforts. Positive reinforcement from you can support increased fluency in your child. Try to keep in mind that there is a difference between using slow speech yourself and reminding your child to do so. This can be a delicate balance, but your child is the person who stutters, so the same rules do not always apply to you as to her. Bombarding her with instructions to “slow down” or “relax” may increase her tension surrounding speech, and thus make her more prone to stuttering. A patient, gentle approach that incorporates slow speech on your part and positive reinforcement of slow speech by your child will provide a fluency-enhancing environment. 2. Do communicate to your child, through your eye contact, attention, body language, and the content of your speech, that you are listening to him and focusing on him. In our busy lives, multi-tasking can seem like an absolutely necessity, and when your child is telling you about his day, you may want to be opening the mail, or feeding the dog, or making dinner for the family. But try to spend some time each day just communicating with your child, to send the message that what he says is important and worth listening to. 3. Don’t finish your child’s sentences for her when she gets stuck. While you may know exactly what she’s trying to say, and you want to help her, it’s better to let her speak for herself, no matter how hard it may seem. Try to be patient as she communicates her ideas, questions, and comments. Value her efforts to communicate for herself, and give her all the time she needs to say what she wants to say. 4. Do accept your child and the way he speaks now. Talk openly about stuttering with him. If he knows that lots of people have “bumpy speech” sometimes, he may feel more at ease with his own speech. Your acceptance, patience and love are among the best communication enhancers there are. Finally, if your child is stuttering, you may want to consult a licensed, certified speech language pathologist (SLP). An SLP can evaluate your child’s stuttering, determine if therapy is recommended, and provide therapy if needed. SLPs can teach children who stutter and their families many techniques that foster smoother speech. Stuttering can be remediated through effective intervention provided by a certified SLP, improving your child’s communication and quality of life.